Nice game. Rockies offense woke up. Finally. They had 4 solo HRs. Career first for Corey Dickerson. Congrats Corey. Other homers add Dexter, Tulo and Cuddy. Starting pitcher Chacin was great again. He allowed only 3 runs in 7 innings. 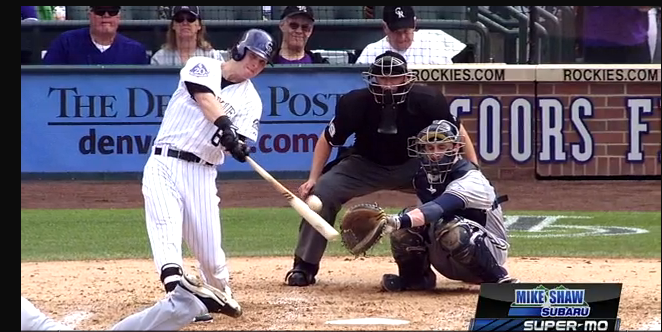 2 runs allowed Belisle in 8th inning after Betancourt´s 2-run HR. Rex had 7th save of the season. Rockies finished series 2-1 and tomorrow will start hard series against Braves.